A new group of US hotels has fallen victim to PoS malware that is believed to have exposed private customer financial data. 20 US hotels operated by HEI Hotel & Resorts on behalf of Starwood, Marriott, Hyatt, and Intercontinental may have leaked the financial information of its customers due to malicious malware installed at PoS terminals and systems, including at bars, restaurants, spas, and shops on site. HEI believes that customer data including names, payment card account numbers, card expiration dates, and verification codes may have been captured by the malware. 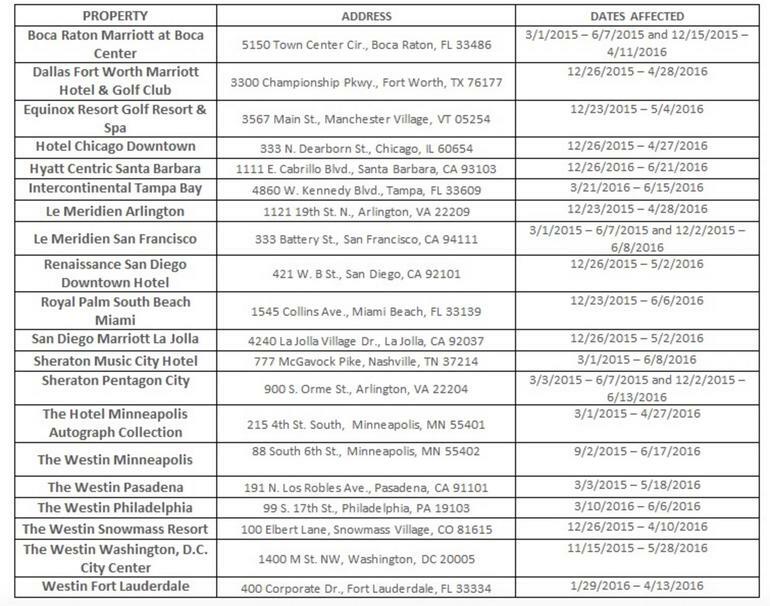 Hotel properties in cities including San Francisco, Chicago, Arlington, and Washington DC were included in the data breach. Malware was active at different stages depending on the property, but customer data was exposed between 2015 and 2016. The breach follows similar attacks launched against Hyatt Hotels, Trump and Starwood Hotels & Resorts which we blogged about here. Those who have stayed at these resorts will have to contact the hotel operator themselves if they believe their data is being used fraudulently due to the breach, as HEI says not enough information is stored to locate past customers.